Pianist Marian McPartland teams with Teddy Wilson on Piano Jazz due September 27, and McPartland also teams with Bruce Hornsy on yet another release also entitled Piano Jazz due on October 4. Both releases are from Concord Records. Verve Records has announced a “best of” for saxman John Klemmer. The Very Best of John Klemmer is due on August 30. Ron Isley (Isley Brothers) is finishing up work on a solo release for Island/Def Jam due August 30. Elbicho release his second release entitled Elbicho II, which continues the septet's innovative, original and addictive musical offerings. This one feaures more high quality flamenco fusio. Spanish flamenco guitarist Raimundo Amador has released Mundo Amador(Amador World) where he combines flamenco and blues. 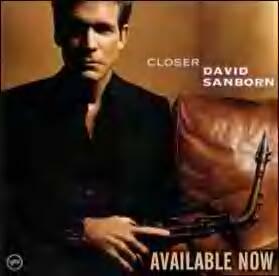 David Sanborn is on a whirwind tour in support of his latest album that will take him across the United States, Georgia, Serbia, Turkey, Netherlands, Switzerland and Germany. Here are confirmed concert appearances between the months of June and late October. July 16 – Straubing, Germany @ Jazz an der Donau e.V. Here is the update that we have concerning Al Jarreau's concert schedule from late May through early August. The JVC Jazz Festival is set for June 1 through 5 on Miami Beach at the Jackie Gleason Theatre. Featured performers include Norman Brown’s Summer Storm with Peabo Bryson, Brenda Russell and Everette Harp, plus Chris Botti and Raul Midon. The Red Bank Jazz and Blues Festival runs June 3 through 5 at Marine Park in Red Bank, New Jersey. Over 30 acts will be performing this year, including topliner 7-time Grammy Award winning Latin Jazz Artist, Eddie Palmieri and La Perfecta. The event is being sponsored in part by New York’s CD 101.9. The 15th Annual Puerto Rico Heineken JazzFest will take place June 2 through 5 at the Tito Puente Amphitheatre in San Juan. This year’s scheduled performers include Sammy Figueroa and his Latin Jazz Explosion, Al Di Meola, Nestor Torres, the Roy Haynes Quartet, Paoli Mejias, Gal Costa, Jon Faddis, the Miguel Zenon Quartet and the Count Basie Orchestra with Patti Austin. Bricktown, Oklahoma will host the 20th Annual Charlie Christian International Jazz Festival from June 9 through the 12th. Performers this year include Kirk Whalum, New Orleans Blues Man, Henry Butler, Grady Nichols, Michael Zaporski and FutureVisions. Lots of rare stuff being released lately and we thought we would pass onthe information to you in case you happened to be looking for it. Here is a sampling of what we have come across. 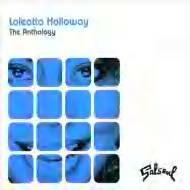 Finally a greatest hits collection from Loleatta Holloway that actually includes all of the her other work besides her disco releases. Her former label, Salsoul, has accumulated the mellow and soulful tracks that she had recorded during her disco heyday to complete the collection of rarities. This double CD collection includes 33 killer tracks in all. Drop it onto your CD player and enjoy! Originally released in the 60’s, Sonia Rosa sings and plays guitar against a sweet bossa background. The tracks are smooth, jazzy and breezy – and yet still current enough to include as part of your Brazilian collection. Probably one of the most underrated musician/producers of his time, Hamilton Bohannon is long overdue for the recognition that he so deserves.This collection includes his early work for the Brunswick record label andit includes some great trimmed down funk sounds dating back to the early 70’s. This one is the fourth in the CD series with tracks expertly selected and mixed by Jazzanova. The collection includes tracks from Bobbi Humphrey, Eddie Gale, Curtis Fuller, Sam Rivers, Lee Morgan, Sheila Jordan, Nicola Conte, Bobby Hutcherson, Chico Hamilton, and others. A superb collection by Joe Bataan, who was able to successfully merge thesound of 60’s soul alongside New York Latin influences. We are glad to seethat there have been a batch of Joe Bataan rereleases lately and this oneis definitely one of the best out there..
Joshua Redman has two new CDs due on May 24 as he releases Momentum (Nonesuch) and SF Jazz Collective (Nonesuch). On Momentum, Joshua Redman showcases his funky and fusion side. Alongside fellow musicians, vibraphonist Stefan Harris, drummer Brian Blade, and bassists Me’Shell Ndegeocello and Flea. Redman is also a principal member of the SF Jazz Collective (along with Nicolas Payton, Miguel Zenon, Renee Rosnes, Bobby Hutcherson and Brian Blade). SF Jazz Collective is also the name of the self-titled debut set. Patti Labelle’s upcoming CD, Classic Moments, is set for release on Def Soul Classics on June 21. The 13-track CD will include a duet with Mary J. Blige on Aretha Franklin’s Ain’t No Way, plus covers of Elton John’s Your Song, Michael McDonald’s I Keep Forgettin', L.T.D.’s Love Ballad and Kristine W.’s Land of the Living. Classic Moments was produced by Darryl Simmons and Babyface. Labelle has a busy schedule ahead with several highlighted performances, including. The White Tie Ball in London on June 23; Elton John’s Philadelphia Freedom concert on July 4; The Cincinnati Jazz Festival on August 20; plus a tentative tour of South America during October and November. All shows will include a performance by special guest Babyface. Her latest CD is entitled My Everything (Blue Note). Teddy Rok Seven’s Universal Funk is a CD that is heavily influenced by the music of John Coltrane, Miles Davis, DJ Shadow, George Duke, Patrice Rushen, Fela Kuti, James Brown, Weldon Irvine, Jay Dee, Elvin Jones, D’Angelo, Pete Rock, and Herbie Hancock. It’s jazz in the vein of NuJazz Afro with some Hip Hop thrown in. Blue Note Records has announced the signing of 26-year old pianist Robert Glasper to their roster. Glasper has worked with an eclectic mix of artists, including Carmen Lundy, Me’Shell NdegeOcello, Terence Blanchard, Roy Hargrove, Nicolas Payton, Q-Tip and Mos Def. His Blue Note debut CD is due for release in the fall. Former Earth Wind & Fire alumni. original keyboardist Larry Dunn, plus Sheldon Reynolds (guitarist/vocalist) and Morris Pleasure (keyboardist), both of whom spent more than a decade with the group, have come together under the band name Devoted Spirits to release Tribute to Earth Wind & Fire. The CD is released by Thump Records Classic R&B/Experience Hendrix. The Rippingtons will bring their smooth jazz sound to the Jazziz Bistro at the Hard Rock Hotel and Casino in Ft. Lauderdale, Florida on Friday, June 29, and on Saturday, June 30. Santana’s next album (originally set for release on June 21) is now due on September 6 via Arista. Entitled All That I Am, the CD will feature another round of collaborations, this time between Santana and Mary J. Blige, Los Lonely Boys, Robert Randolph, Sean Paul, the Black Eyed Peas, Metallica guitarist Kirk Hammett, OutKast’s Big Boi, and a re-teaming with Michelle Branch. In the meantime, Santana will begin a North American tour on May 30 in Tampa, Florida, with support from the Los Lonely Boys. In late July and August, Carlos Santana will join Herbie Hancock and Wayne Shorter for five shows in Japan, and the in September the Santana band will hit another set of dates with support from Robert Randolph and the Family Band. Lost Highway Records is due to release the Countryman by Willie Nelson from the vaults on August 8. The album was originally conceived back in 1995 when Island Records founder Chris Blackwell signed Willie Nelson to the label. Over time, some basic tracks were recorded with producer Don Was, but thereafter Blackwell left the label and the album was left in jeopardy as Island Records went through sales and mergers. In 2004, producer Richard Feldman came in to finish the album that finds Willie Nelson covering the Jimmy Cliff hit The Harder They Come as well as Sitting In Limbo, from the soundtrack to the film The Harder They Come, plus a duet with Toots Hibbert of Toots and the Maytals on I’m A Worried Man. Simply Red will once again take to the stage as they prepare for a world tour to commence on October 25 and continuing on through Christmas. Official dates will be announced soon, however, we do know that the tour will make stops in the UK, Ireland, Holland, Denmark, Belgium, Austria, Hungary, Czech Republic, Luxemborg, France, Italy and Germany. The tour will break for the holidays and then pick up again in early 2006 with additional countries being planned. We’ll publish the actual dates once the information becomes available. Percussionist, producer and remixer Phil Kullmann presents Raw Artistic Soul: What About Love, a mix of contemporary worlds grooves filled with lush percussive rhythms, warm musical landscapes and luscious vocals. GRP Records has confirmed that World of Brazil by Lee Ritenour has been scheduled for release on August 9. The Aloha Pussycats and Lewis Dane have compiled Klubb Jazz, Vol. 6 (Various Artists) - a collection of Latin and jazz based tracks. The mix throughout is elegant, stylish and is filled with intense Brazilian influences. Sabrina Malheiros – Equilibria. Sabrina Malheiros is the daughter of Alex Malheiros, from the legendary Brazilian group Azymuth. Her debut CD is a collection of bossas and sambas with touches of hip-hop, RnB and electronic music. 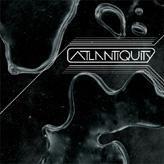 Equilibria was produced by DJ Venom, who is the son of Bluey of the British Jazz group Incognito. Rivera Rotation – Sunrise & Rainbow. This CD is comprised of 13 smooth house grooves, with touches of jazz, electronic music and modern soul thrown in. Included is the Floaters’ classic from the 70’s Float On. It’s a stunning collection from Pete Rivera and company that is fit for the clubs as well as for the living room. Soul Lounge: 40 Soulful Grooves by Various Artists is 3-CD box set featuring smooth soul-lounge tracks from Incognito, Brenda Russell, Maysa, Angie Stone, Angela Johnson, Tourtured Soul, and many others. The album also includes some rare remix versions. An Unforgettable House Mix: For An Unforgettable Dinner by Various Artists is a collection of Jazz, Soul and Disco House. This compilation CD includes tracks featuring chanteuse Hanna Hais and many others. Smooth jazz comes to Lake Tahoe, Nevada as the Lake Tahoe Smooth Jazz Festival takes place during the upcoming Memorial Day Weekend, May 27-29 throughout Squaw Valley. Set to perform are Sax Pack with Jeff Kashiwa, Kim Waters and Marion Meadows, Bobby Caldwell, Rick Kelly and Norman Brown’s Summer Storm. IS WQCD 101.9FM PLAYING IT SAFE WITH THEIR PLAYLIST? We noticed that immediately after the latest Arbitron rankings were released a couple of weeks ago, that the New York Chill radio station, WQCD 101.9FM, immediately went into plan B to hopefully increase their audience share and to boost ratings down the road. It was bad news for WQCD as their ratings dropped dramatically from a 3.4 in the Fall Arbitron to a 2.6 for the Winter Arbitron survey. Plan B of course means adding much more "familiar" tracks into rotation such as What’s Love Got To Do With It by Tina Turner, Sweet Thing and Ain’t Nobody by Rufus and Chaka Khan, Through The Fire by Chaka Khan, Careless Whisper by George Michael, The Closer I Get To You by Roberta Flack and Donny Hathaway, Forget-Me-Nots by Patrice Rushen, Lowdown by Boz Scaggs, I Can’t Go For That by Daryl Hall and John Oates, Cruisin' by Smokey Robinson, Higher Love by Steve Winwood, Unbreak My Heart and Another Sad Love Song by Toni Braxton, and Rise by Herb Alpert. We will continue to monitor WQCD to see how they decide to counter their (hopefully) short-term ratings decline. Let’s hope that the New York market fully embraces this smooth jazz and chill hybrid format so that it can spread to other radio stations around the country. If you are interested in viewing the full WQCD playlist, you can check our archives from January 2005, where we posted their entire 400-plus-song playlist (at that time). As a follow-up to Endorfinas en la mente, flamenco chill visionary artists Chambao, release their follow-up Pokito a poko. The band is known for creating flamenco chill, and has been quite successful in blending different sounds and palos (flamenco forms) along with electronic music. The new CD includes 11 new songs, plus a special edition DVD that contains five unreleased song videos, plus other content. Sheila E. will join Candy Dulfer at this year’s upcoming North Sea Jazz Festival in The Hague, Netherlands on July 10. Prince band mates Chance Howard (keys/vocals) and John Blackwell (drums) are now officially touring as a part of Candy’s band. Warner Bros. releases on June 6 a CD/DVD of Seal’s Live In Paris performance from July 6, 2004. The CD includes 14 tracks, while the DVD includes four added selections (Deep Water, Hey Joe, Whirlpool, and Don’t Make Me Wait). Seal is scheduled to commence a North American and European tour on May 20 in Las Vegas with a series of performances lined up through the fall. European stops along the way include concerts in Denmark, Switzerland, Norway, and Germany. Herbie Hancock will be hitting the concert stage this summer with a new lineup consisting of bassist Marcus Miller, guitarists John Mayer and Lionel Loueke, drummer Terri Lyne Carrington, trumpeter Roy Hargrove and percussionist Munyungo Jackson. This latest incarnation of The Headhunters ’05 have been scheduled for three shows surrounding their June 10 appearance at Tennessee’s Bonnaroo festival: June 8 in St. Louis, June 9 in Dayton, Ohio and June 11 in Memphis. Herbie Hancock, in the meantime is completing work on his latest studio album, Possibilities, which will be released via Vector Recordings on Aug. 30. Guests artists appearing on the CD include Angelique Kidjo, Carlos Santana, Paul Simon, Sting, Trey Anastasio, Damien Rice, John Mayer and Annie Lennox. The long, long-awaited CD entitled A Time 2 Love from Stevie Wonder will now be released on June 14, 2005. The new CD includes 16 new tracks, with two bonus tracks being added for release in foreign markets. Tracks on the CD include the title cut A Time 2 Love co-written by India.Arie, From The Bottom Of My Heart, Positivity, and My Love Is Fire, which was originally written for Luther Vandross. These are all new releases available May 10, 2005 . . .
Garth Trinidad (WKCR) is taking his Atlantiquity (available May 10) on the road as he heads to clubs in major cities on a promotional tour for the CD where he’ll let loose the remixes on his turntable. The album is filled with a dozen tracks from the Atlantic Records vaults that have been remixed by an eclectic mix of DJ’s. The CD features a batch of songs from the ‘70’s made famous by the likes of Chic, Eddie Harris, Donny Hathaway, Kleer and the Average White Band. Bassist Paul Jackson has released his second solo effort Funk On A Stick via Urbanzone Productions/Roc Armani. The CD has been described as a combination of Return To Forever/Headhunters with James Brown, Oscar Brown Jr. and Chuck Brown – in other words – it’s a funk-jazz-fusion sound. Cuts from the album have already been added to a series of radio stations around the U.S. The Estes Park Jazz Fest (May 14-15) will feature Dotsero, Eric Gunnison and Marlena Shaw. Jazz Aspen Snowmass presents Ramsey Lewis, Isaac Hayes, Dianne Reeves and Bobby McFerrin as they headline the June Festival slated for June 23-26. Paul Taylor and Brian Culbertson play at the 21st Annual Genuine Jazz Festival in Breckinridge on June 23-26. The Telluride Jazz Celebration (Aug 5-7) will feature Ron Carter, John Scofield, Dave Holland and Bobby Watson. The Vail Labor Weekend and Jazz Party (Sept, 2-5) has booked Kurt Elling, Stefon Harris and Russell Malone. Paul Anka marks his Verve-label debut with Rock Swings, as he covers the music of a younger generation. The 14-track set features orchestra-backed versions of Soundgarten’s Black Hole Sun, Nirvana’s Smells Like Teen Spirit, and Michael Jackson’s The Way You Make Me Feel. The CD was previously released internationally some months back and had reached number 1 on the German album chart. The set also features songs by Eric Clapton, Van Halen, Billy Idol, the Pet Shop Boys and Oasis. Anka will be on tour throughout the remainder of the year, with a new set of dates to begin on May 29 at Harrah’s in St. Louis. Stevie Wonder’s 55th birthday celebration on XM 60 on May 13 at 5PM ET, featuring Stevie Wonder songs all day plus a live concert from Osaka, Japan as Stevie Wonder performs with the Tokyo Philharmonic Orchestra. Essential Records releases The Essential George Benson on June 28. Concord Jazz is releasing the 2-CD package of The Living Room Tour from Carole King. Carly Simon moves over to Columbia Records (after 18 years with Arista) and is preparing to release an album of standards entitled Moonlight Serenade on July 19. The 11-track set will be released in DualDisc format, with the DVD side showcasing behind-the-scenes footage. MeShell NdegeOchello will release her first all-jazz CD, Dance Of The Infidels on June 21 on Shanachie. The CD features guest artists including Kenny Garrett, Jack DeJohnette, Oliver Lake, Don Byron, Soulalive’s Neal Evans, Cassandra Wilson, Lalah Hathaway and Sabina of the Brazilian Girls. Earth Wind & Fire and Chicago play the The Shoreline Amphitheatre, Monterey, CA, on September 3, and Michael McDonald will perform at The Ironstone Amphitheatre, Ironstone Vineyards, Monterey, CA, on July 31. B.B. King - Britt Festivals, Jackson County Expo Park, Central Point, OR, Aug 11. Word is that Rafi Gomez is finishing up work on his second Groove Boutique CD which should be out sometime before year-end. In the meantime, you can catch Rafi live at the Shelter in New York City as he brings the Groove to The Shelter (20 West 39 street, between 5th and 6th Ave.), on Thursday, May 12 from 8PM-10PM. He’ll also hit the road this summer as he tours nationwide with The Groove Boutique Presents Ultra Chill 1.0. We’ll pass on the schedule once we get more information. Also look out for an announcement soon that The Groove Boutique is coming to a television station near you. PRAFUL, JEFFREY OSBORNE & MARC ANTOINE JOIN DAVE KOZ FOR "A SMOOTH SUMMER NIGHT TOUR"
Dave Koz and his friends have confirmed their tour schedule as they head across the U.S. Dave Koz will be joined by a group of stellar smooth jazz musicians as they take their "A Smooth Summer Night Tour" to more than 25 cities. This year's lineup features R&B vocalist Jeffrey Osborne, contemporary jazz guitarist Marc Antoine and multi-instrumentalist Praful. The tour commences June 10 at the Reading Eagle Theater in Reading, PA and wraps up on August 21 at the Hollywood Bowl in Hollywood, CA. Breeze On By is the latest single by Donny Osmond which has been added to heavy rotation at numerous smooth jazz radio stations around the world. The song takes on a sampled melody of the George Benson classic Breezin' and mixes it with lyrics written by Donny Osmond, Eliot Kennedy, Gary Barlow and Bobby Womack. The single has already become Donny’s first top ten single in 30 years in the U.K., plus it has quickly being added at many smooth jazz radio stations in the states. KKSF in San Francisco added it out of the box, and now, Breeze On By can be heard at KSBR-Los Angeles, WLVE-Miami, WNWV-Cleveland, KSSJ-Sacramento, KOAS-Las Vegas, WVSU-Birmingham, KAJZ-Albuquerque, KSMJ-Bakersfield, KUAP-Little Rock, KJZY-Santa Rosa, WVAS-Montgomery, and WSBZ-Ft. Walton Beach, among many others. In the interim, Donny Osmond is in the midst of a whirlwind promotional and concert tour in support of the album entitled What I Meant To Say (Decca). We’ve got his full U.S. and U.K. tour schedule from now until late fall. A flurry of artists are signed for the Chateau Ste. Michelle this summer in Seattle, Washington. The series will feature the two-day 98.9 Smooth Jazz Festival, plus the Gipsy Kings, Madeleine Peyroux and others. A series of outdoor show are scheduled in and around the Pugent Sound, including the White River Amphitheatre near Auburn, Marymoor Park in Redmond and South Lake Union and Woodland Park Zoo in Seattle. The shows are produced by the Lakeside Group and House of Blues Concerts. Here’s a sampling of the lineup: Gipsy Kings on Aug. 5; 98.9 Smooth Jazz Festival featuring Jazz Attack (Rick Braun, Jonathan Butler, Richard Elliot and Peter White), Brian Culbertson, Kim Waters and Steve Oliver on Aug 6.; 98.9 Smooth Jazz Festival, featuring Fourplay (Bob James, Larry Carlton, Harvey Mason and Nathan East), Summer Storm (Norman Brown, Peabo Bryson, Brenda Russell and Everett Harp), Norman Brown (performing solo) and David Lanz on Aug. 7; and Madeleine Peyroux; Sept. 17. Tickets are available through Ticketmaster. Carlos Santana and his bandmates have been slated to appear on ABC-TV's Good Morning America (GMA) on June 10, 2005. The concert will take place in Bryant Park in New York City, located behind the main branch of the New York Public Library. The performance will be free to the public and excerpts will be broadcast throughout the morning GMA show between 7 and 9AM ET. Hiroshima performs live at BB King's in New York City on XM 71, Wednesday, May 4 at 9PM ET. Steel Dan performs in concert at the Beacon Theatre in New York City, recorded at the start of the 2000 Two Against Nature Tour, on XM 45, Thursday, May 5 at Midnight ET. Ann Peebles performs live in concert from the XM Performance Theatre in an acoustic set, on XM 60, Saturday, May 7 at 8PM ET. Nancy Wilson performs in a concert recorded at the Las Vegas Sands Hotel, on XM 5, Sunday, May 8 at 9PM ET. As we previously mentioned several week ago, Bebel Gilberto is set to release a remixed version of her latest CD (released in 2004). Entitled, Bebel Gilberto Remixed, it will feature mixes by Thievery Corporation, Telefon Tel Aviv, Guy Sigsworth, Grant Nelson, DJ Spinna and Tom Middleton. It will be released in North America sometime in June via Six Degrees Records. The initial pressing will be a limited edition, including a second CD with extra remixes.